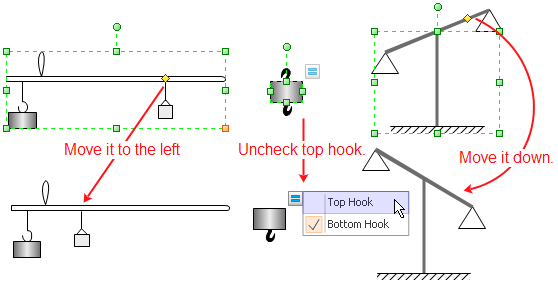 Pre-drawn physical mechanics symbols like rest, weight, ball, staircase, balance, steelyard, spring, stub, stick, spring balance, weight, flume and more help create accurate diagrams and documentation. 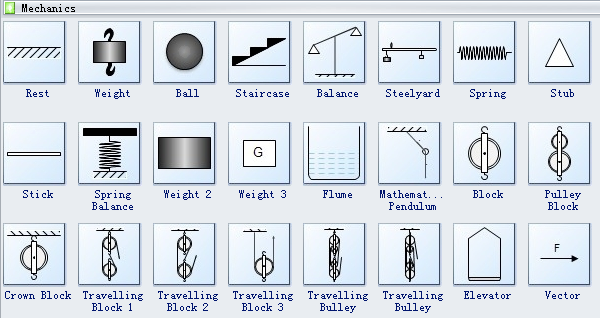 There are plenty of mechanics symbols in Edraw software, rest, weight, ball, staircase, balance, steelyard, spring, stub, stick, spring balance, weight, flume, mathematical pendulum, block, pulley block, crown block, travelling block, elevator, etc. Balance is designed to measure the weight of an object. Seelyard is an apparatus for weighing that has a short arm taking the item to be weighed and a long graduated arm along which a weight is moved until it balances. Spring is an elastic device, typically a helical metal coil, that can be pressed or pulled but returns to its former shape when released, used chiefly to exert constant tension or absorb movement. Crown block is the stationary section of a block and tackle that contains a set of pulleys or sheaves through which the drill line is threaded or reeved and is opposite and above the traveling block. Volmeter is an instrument for measuring electric potential in volts. Amperometer is an instrument for measuring the strength of an electrical current in ampères. 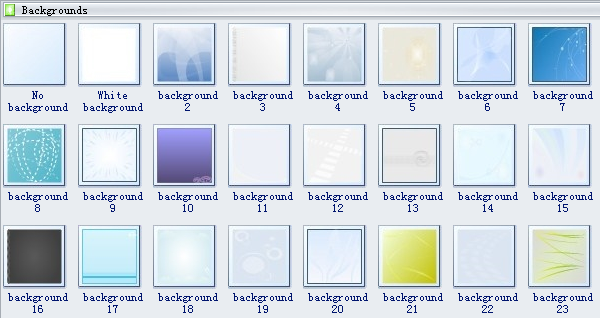 These are smart vector shapes that can be edited easily. You can drag the green square handles to resize them and drag the round green point to roate. The yellow point and floating action button are for more flexible adjustment. Need fresh looking physical mechanics symbols for your design? These physical mechanics symbols are a cinch to pop in. And their crisp, fine detail will make spectacular, easy-to-understand diagrams and presentations to your customers.